This is great news for all book lovers out there. 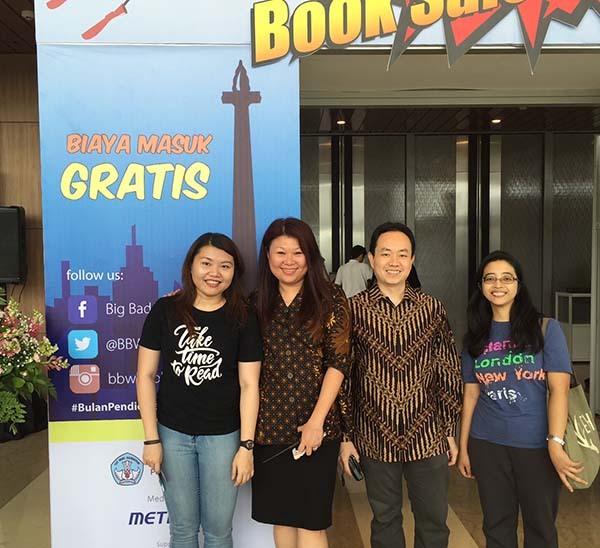 Universitas Indonesia (UI) will open the biggest library at university scale next year. This library complex is built upon 33,000 m2 area, with a total investment of 200 billion rupiahs. The eight-floor building is made earthquake proof and environmental friendly. Located between a lake and UI mosque, this complex will become a place for university students to study and have discussions. People are not allowed to use plastic and smoke around the area. More than that, the building is designed with a concept of “sustainable building” and did not sacrifice any living trees during the construction. This library will be able to hold 20,000 visitors per day, and provide about 6 million book titles. The facility is not limited for academic members of UI, but also available for public. Using e-library system that is completed with Information and Communication Technology (ICT) system, visitors can access electronic information source, like e-book or e-journal. Visitors can also access the data and information available in UI library and other learning centers or libraries around the world.